And here it is March 2012! In each month of this year, I plan to look back to a few posts I wrote in 2011. Don't forget you can always use the right sidebar to find earlier posts. Click Creating, Learning, Reviews, Reading, Writing and Celebrating to explore those themes, or try the Blog Archive to browse by months. Online Inspiration for Young Poets Young poets need our encouragement. Here are some resources that might help. Let's Celebrate Dr Seuss' Birthday Some ideas for sharing Dr Seuss activities. Messing About with Words to Increase Literacy Word play can add so much to kid's lives and literacy skills. Here are lots of suggestions from The Book Chook. Top Two Book Chook Silly Games Share some giggles with your family and friends. Bullying? No Way! Here's a website that helps to combat bullying. Online Resources for Reading and Writing Don't read this post unless you have lots of time! Way too long, it's a list of websites that help develop reading and writing skills in kids. I plan to split it and update it soon. Write Stories and More at Kerpoof So much learning delight at this Disney site. Play with Words and Images at Pizap Adding text to a photo with an image editor like Pizap is such an easy way to sneak some writing into family fun. 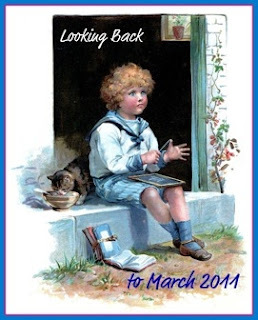 Looking Back to March Past Use this post to link to some great articles from 2009 and 2010. Lots of ideas for encouraging kids to read, write and learn, using web and other resources.